Time to recap the 2013 NRL Grand Final - won 26-18 by Easts over Manly in a superb game of Rugby League! 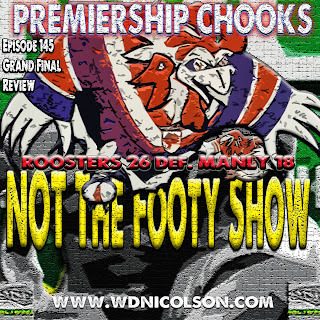 Maria and Waz offer their thoughts on the last game of the season as we salute the Chooks as the best of the best in 2013.
Who stepped up to win the game? Feeling in the sheds post-game? The best Grand Final since? And was DCE unlucky to get the Clive Churchill rather than undeserving? Plus the outstanding cameo from James Maloney's kid on the presentation stage! Enjoy the last NRL instalment of NOT The Footy Show's Finals cameo - we might have a Rugby League World Cup Show or two... but can't promise anything kids. 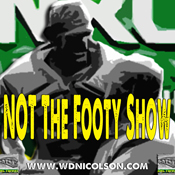 Send us a Tweet via @NRLTweet or post on the Facebook page - www.facebook.com/nrlpodcast if it was good to have us back?